While Deadlift, Miss Mee and Zepha are all unique characters, one thing they share is that they’re all DJs, and each of these musicians’ paths has been distinctly her own. Zepha is an emerging artist from Quebec City. While she’s only breaking into the scene now, her adolescence is saturated in techno music and rave culture. Meanwhile, Deadlift has been making the rounds as a journalist-musician hybrid for a couple of years. After graduating from McGill, she moved to Berlin to DJ, write and record. Miss Mee, on the other hand, has been vetting the house scene in Europe for nearly two decades, since her beginnings playing vinyl shops in Belgium in 1998. Now a producer, she runs her own label out of Montreal. 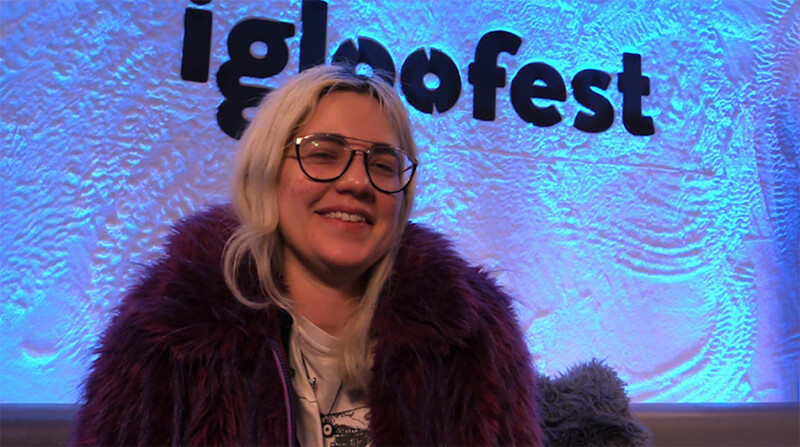 These artists played at this year’s Igloofest, which is another accomplishment they share. While performing at a festival has varying significance to them—and though it’s certainly not the crux of their careers—their presence lends itself to an exploration of how they got into the industry. It was below freezing on the night of Jan. 20, but Zepha still performed in socks. Despite being the middle of January, the cold night could have been mistaken for a warm summer day, as the ex-raver bounced shoeless from laptop to mixer, pounding out a heavy bass to a psychedelic visual show that brought the crowd right back to sun-filled times. Playing Igloofest left Zepha in disbelief, even after wrapping up an incredible set. “I have been dreaming about this since I started playing at free raves,” she said, now with shoes on. Steering away from the mainstream since an early age, Zepha went to her first rave at the impressionable age of 13. It’s obvious that her surreptitious roots have influenced her sound, which is chock-full of flowery melodies and trippy samples. Despite an awesome set, Zepha is soft-spoken about her music. “I am a beginner,” she said, admitting that she underestimates herself. Regardless, Zepha loves to create music. While she plays techno at gigs, she isn’t constrained by the genre and often experiments with other kinds of sound, like down-tempo instrumentals paired with vocals. She has also produced her own tracks, but ultimately took time to reassess her motives. Producing as a means of promotion, rather than as a creative outlet, was at the heart of the problem. Zepha’s intentions aren’t too far off, though. “Many women inspire me with their work process within music, not just the jam itself,” she said. While she makes the jump from playing free raves, performing at Igloofest came somewhat naturally for Mississauga native Deadlift. “I played Piknic [Electronique] in the summer, so that was kind of a foot in the door,” she said. The DJ also attended the festival while she was writing for the McGill arts magazine Leacocks. Now based out of Berlin, Deadlift has been working in media, DJing and hosting her own monthly music show on Berlin Community Radio. Settling into her career hasn’t been easy, though. “For a while, I really didn’t have confidence in my ability. At first, all of my friends who were making music were guys—it wasn’t a super encouraging environment. I felt weird about asking for help,” explained Deadlift. But those days are far behind her, and Dealift said that now, she doesn’t feel that way anymore. “Some of the guys that taught me when I started now ask me stuff. I feel like I’m finally on a level playing field,” she said. Projects like Discwoman, a New York-based platform and collective that showcases cis-women, trans women and gender-queer talent, have inspired and pushed her to continue on her own path in music. Perseverance is key. “It’s important not to give up, especially if you’re not actively encouraged,” Deadlift said, highlighting that there’s a lack of support for marginalized folk. Through creating collectively and supporting each other, Deadlift believes that women, genderqueer people and people of colour can gain more visibility. In a recently sparked debate in the Twittersphere, DJ Jackmaster called out the music industry for systemically making it harder to be a woman in the field. “Apparently a female can’t make a track on her own. Some[one] must have made it on their behalf zzz,” he wrote on Feb. 5. Considering that many of the most successful, top-earning male DJs—see David Guetta—don’t produce their own music, artist Dustin Zahn called the idea “ridiculous.” And it is ridiculous, when you realize that Deadlift, Zepha and Miss Mee have all produced their own tracks. 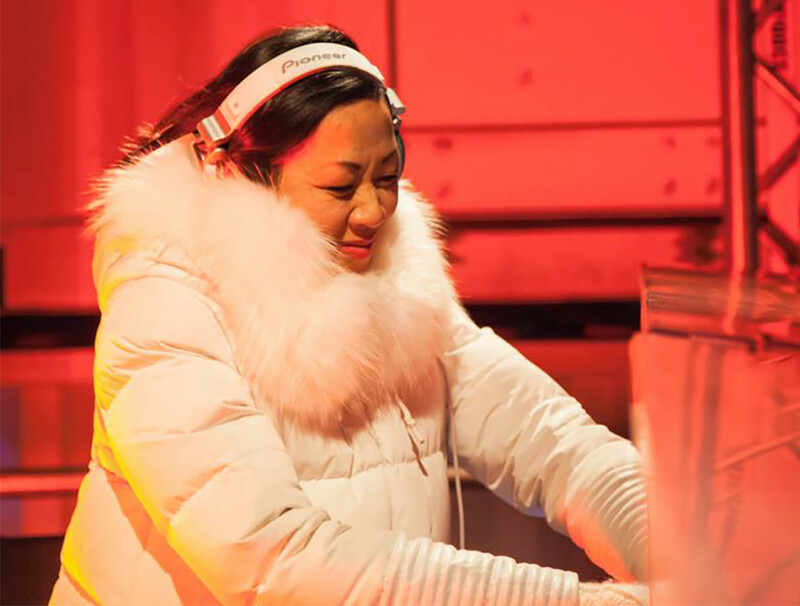 DJ and producer, Miss Mee has been in the scene for close to twenty years. Her beginnings are authentic. Influenced by hip hop music from the late 1990s, Miss Mee was frequenting record shops in Belgium, and subsequently started spinning vinyl in them in 1998. “I have so many special moments,” she recalled fondly. She thought of a time when another aspiring DJ asked if she’d like to play together—looking for that encouragement to move past the fear of starting something new. So they played together, proving that solidarity can give anyone the courage to keep pursue their passions. Progressively, Miss Mee’s taste and style evolved. “You’re like an archeologist—you discover things,” she noted. With that, her direction took off from hip-hop and rap to house music. A flux and flow of discovery and practice, Miss Mee continued playing in Europe until 2006, when she decided to start a record label. Suddenly, she found herself in the studio 24/7, producing and collaborating with other artists. Miss Mee left Belgium two years ago, following a hiatus from the music industry. But she wanted to start a new life, so she moved to Montreal. Nearly two decades later, the international artist said that she now has the opportunity to restart her career.